Welcome to blog number 12, which is the second blog running that I've been able to write on the laptop whilst sat in the garden. Does that mean summer is coming? Certainly lighter evenings are on their way with the clocks going forward this weekend! We just need this nice weather to continue. I've had quite a busy week, indeed as mentioned in the last blog I was hoping to write this one sooner as I expected to have some trips to report on. It turned out though that I've been out somewhere every day so actually haven't had the time until now to sit down and write anything.﻿ I wouldn't exactly say I've got lots of pictures but one or two of those I have taken have been worth the effort. 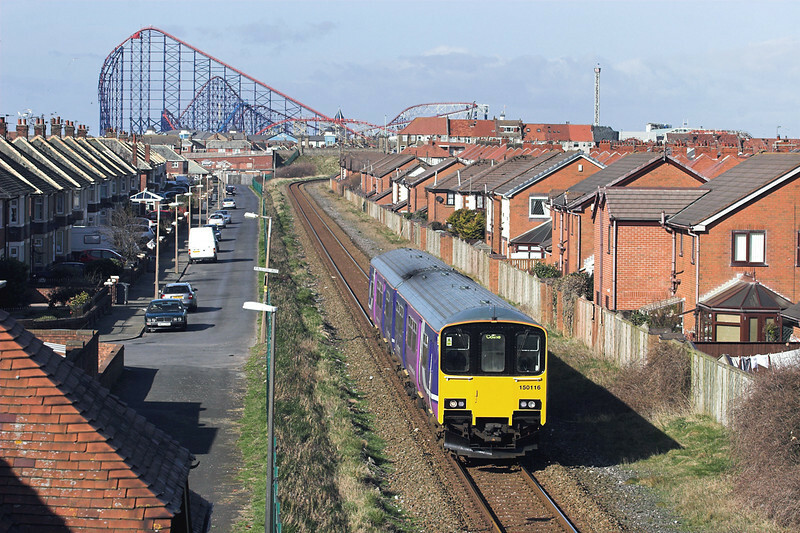 Monday, with the forecast good for most of the day, I set out early with the intention of getting beyond Oxenholme for the northbound Tesco train. Yet again it didn't provide the red DB 92 I was hoping for so I'll have to keep trying for a picture of one of those. Fortunately though it did manage to turn up in the last of the sunshine before the clouds moved in for the day. I managed though to miss 185108 heading south whilst I was waiting. This unit still carrys its Liverpool '08 decals on the roofline which it gained to celebrate the city being the Capital of Culture that year. Like the red 92's it has still eluded me getting a picture of this livery variation. 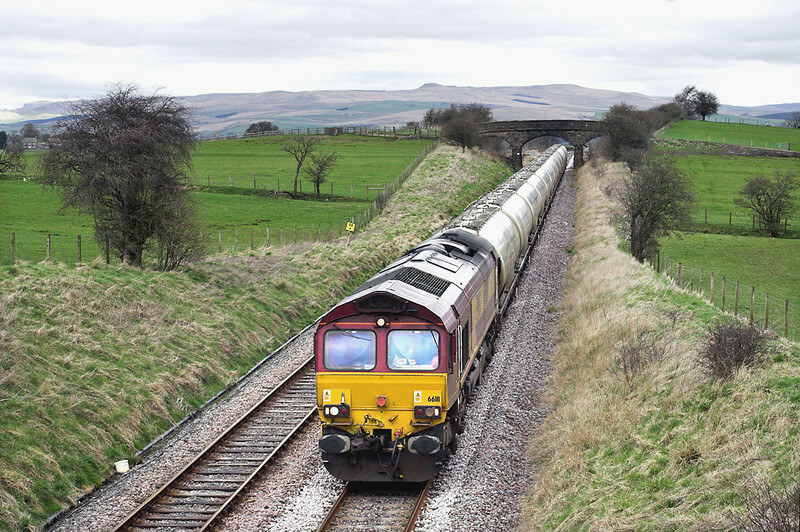 I had a drive along the A65 afterwards to Hellifield for the Clitheroe Cement, which seems to run in its old later time on a Monday for some reason. With it being so dull I gave up afterwards and went home for dinner, and more importantly beer. 66111 was in charge of the cement and after a shot as it approached Hellifield I just, but only just, made it to Newsholme ahead of it for a second picture. There was much huffing and puffing as I ran over the hill between the car and the bridge. Tuesday involved visiting some Wetherspoons in the West Manchester area, mainly by bus, though I did get two unit pictures, one at Daisy Hill and the other at Urmston. Highlights of the day were the Wetherspoons outside Chill Factor E at The Trafford Centre, where they had a choice of 4 Greenfield beers all for 99p a pint. I could quite happily have stayed there some time. 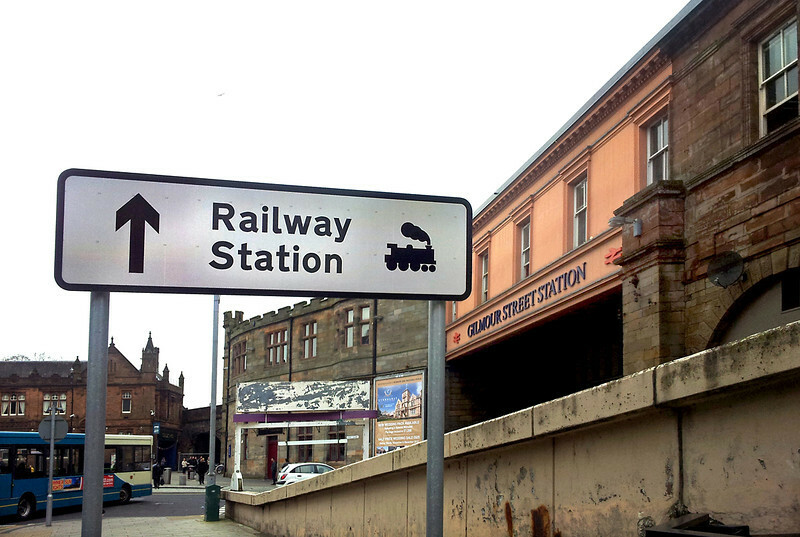 It's a shame it's so hard to get to there from Preston by public transport! 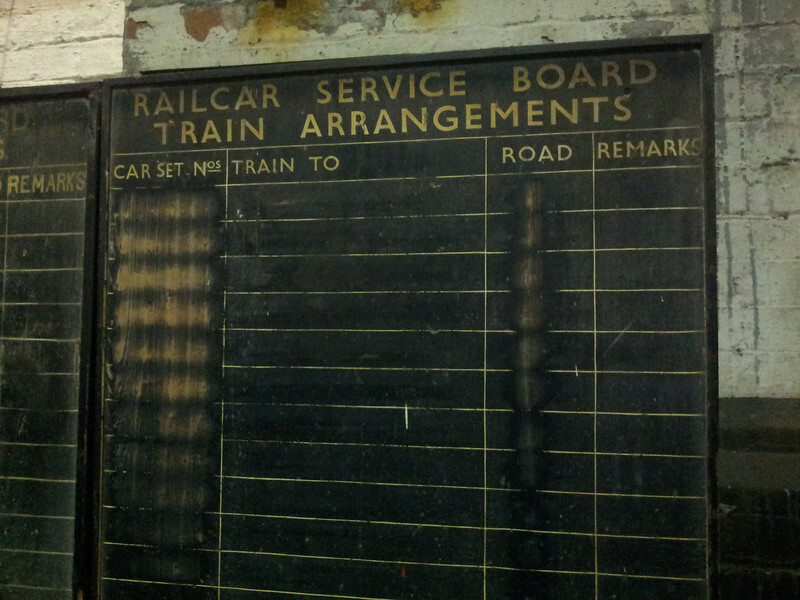 The other was the excellent pub, The Steamhouse, that occupies the former station building at Urmston. A good selection of beer, the food is recommended, plus if you get the right seat you can watch the trains go by the window. 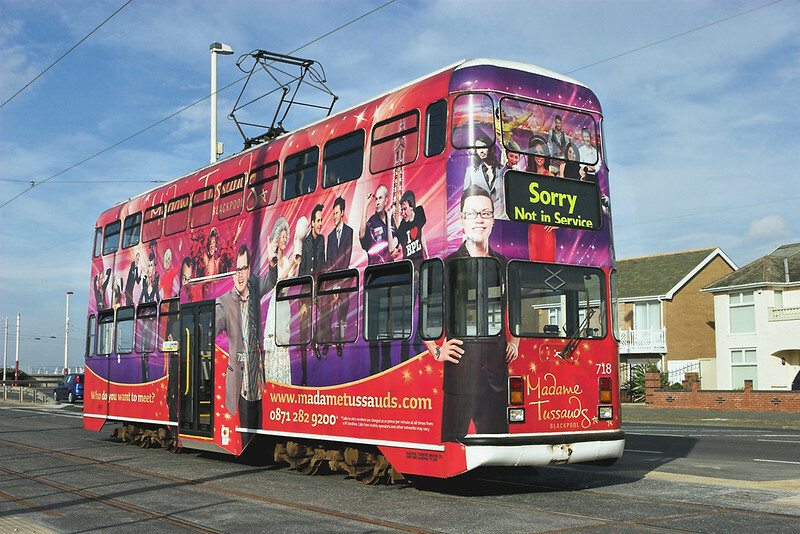 The following day was a tram day (yes Blackpool again I hear you yawn). With only just over a week to the grand reopening I was expecting pretty much a full shadow timetable to be operating to train the drivers. It looked promising as I saw three trams between Squires Gate and North Pier, however with one line still being dug up by the Metropole meaning single line working in operation, I only saw two more beyond there. The road is also being dug up in Fleetwood itself so they are unable to go down Lord Street to the Ferry Terminal. Still, the 'Fishermans Friend' factory behind the tram in this shot proves they are at least reaching the outskirts of Fleetwood now. 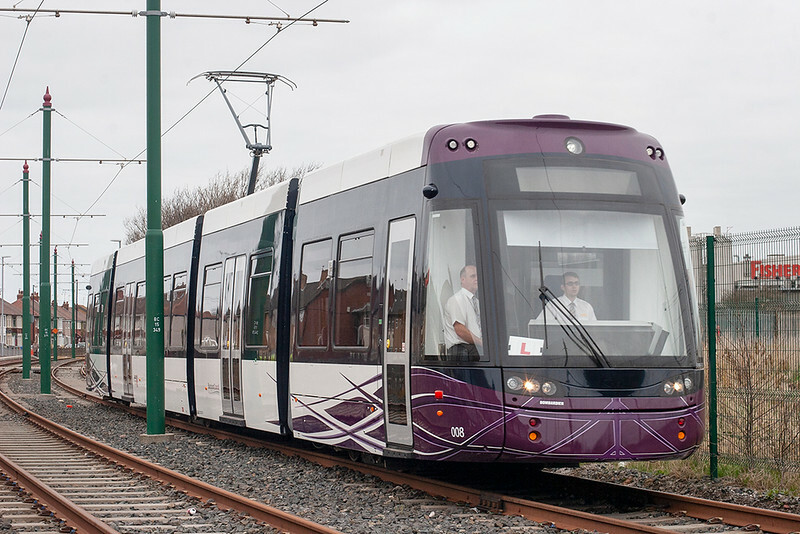 They now have 11 of the 16 new trams delivered to Squires Gate depot. Apparently number 12 is due on April 5th, though I wonder if anyone has worked out how they are going to get it off the lorry with the planned 20 minute tram service trying to use the adjacent track? On to Thursday which was car MOT day. This was annoying as it was forecast as probably the best day of the week. Of course having no car meant I was stuck where to go to get some decent pictures as I had to travel by Public Transport, and in addition be back for 3pm to pick the car up. I settled on Warrington, or more precisely a location on the 'bottom' line that I hadn't done before. 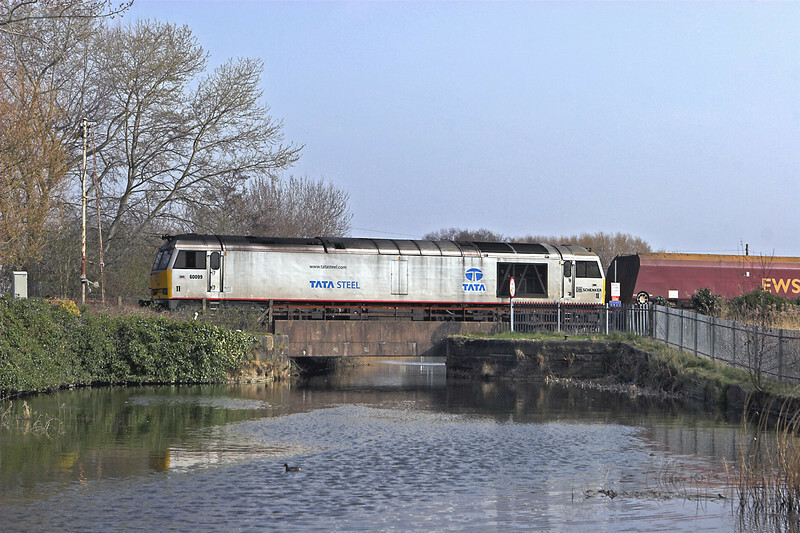 It was only a 25 minute walk to Sankey Valley Park from Bank Quay station and I thought I would just get there just in time before 60099 had run round its train twice at Warrington. It turned out I still had almost an hour to wait as the driver obviously wasn't in too much of a rush despite being 80 minutes late. And spend some time I did. 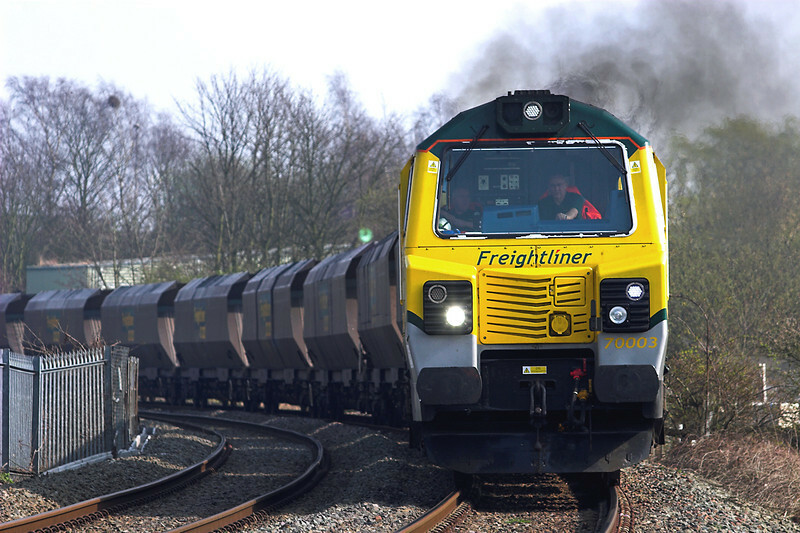 Normally trains take about 90 minutes to unload at Fiddlers Ferry Power Station, but this one took over 3 hours to return meaning I was out of position for 70003 on the Ellesmere Port coal working. It turned out to be a reasonable shot though, especially as the loco was clagging for Britain. Yes they are ugly, but they look powerful, sound good and if they all produce this much gunk out the top as they get older I'm sure they will develop a loyal following. Finally, after about 4 and a half hours waiting, and only 5 minutes before I had to leave to walk back to the station, 60099 returned. 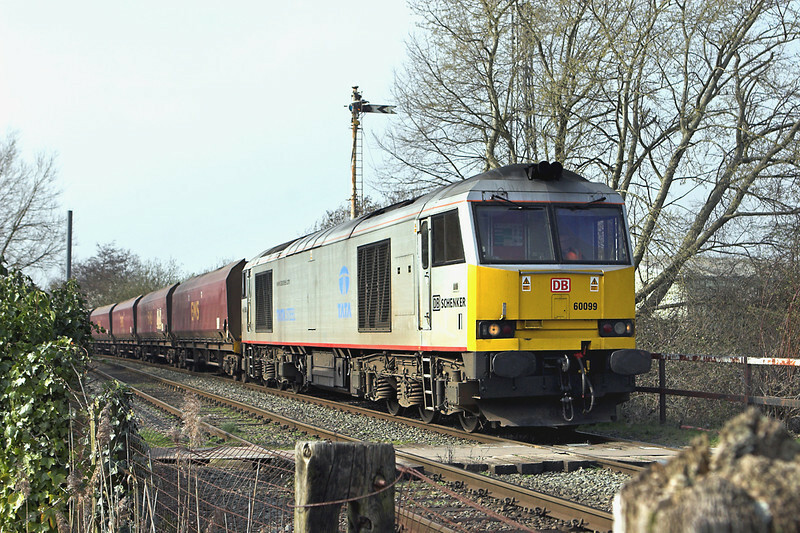 Of course the sun had moved round too far by now but still a nice shot, and worth including Monks Sidings distant signal behind as the line is due to be resignalled soon. Well, I think that is probably enough for this edition. 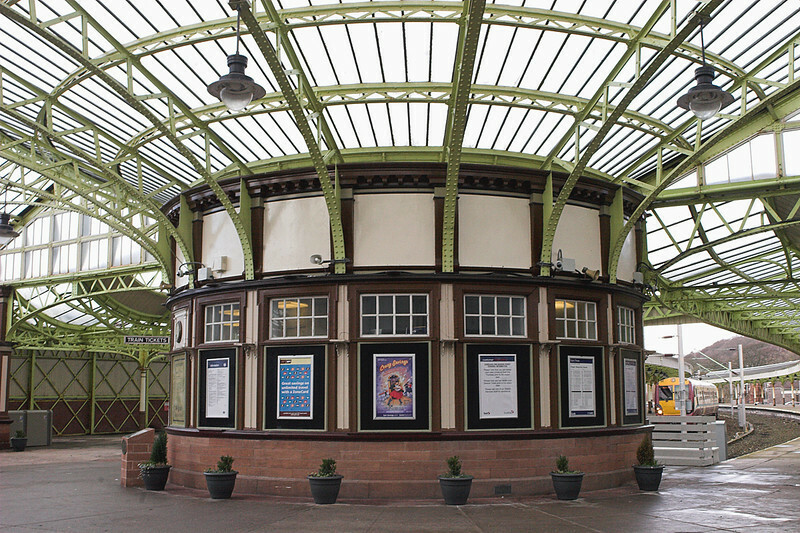 I'll cover Fridays wanderings around Ayrshire in the next blog as I haven't processed the pictures yet. Needless to say it was centred on a tour of Wetherspoons, but now the light is getting brighter I am forcing myself to allow more time in the schedule to photography. Thanks for reading, please check back in a few days for further updates. 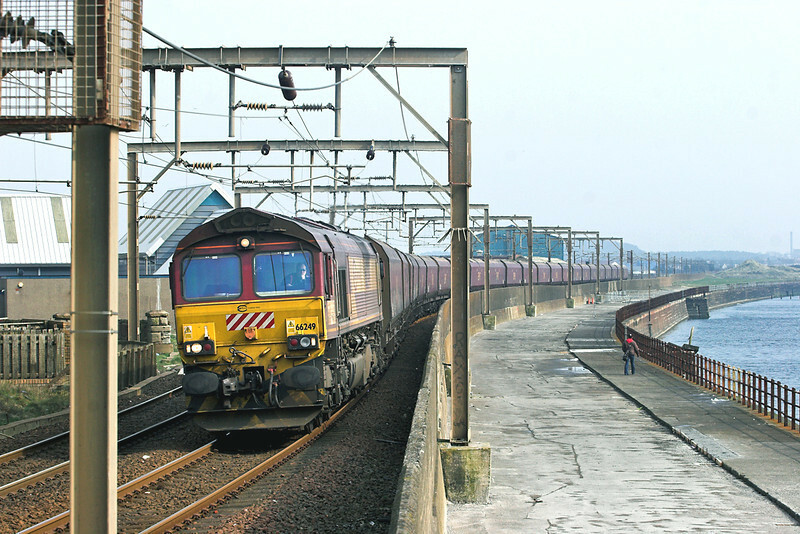 Welcome again to the latest Railwaymedia Blog. My body clock is now trying to get adjusted to not being on nights; three weeks of going to work at the same time of day is not something that happens too often. I do however like nights and I shall be very much missing them at the end of this week when I have to get up at the ungodly hour of 5am. 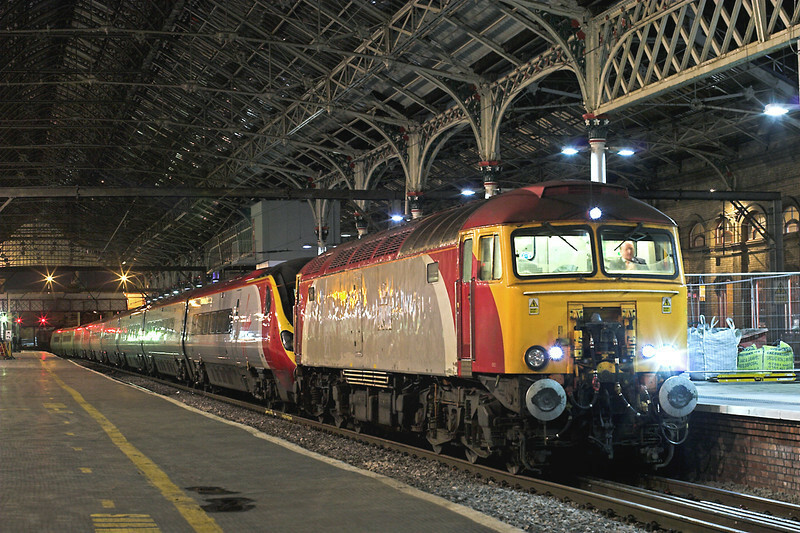 The day, or rather night, after I posted the last Blog I came across Virgin Thunderbird 57309 at Preston. 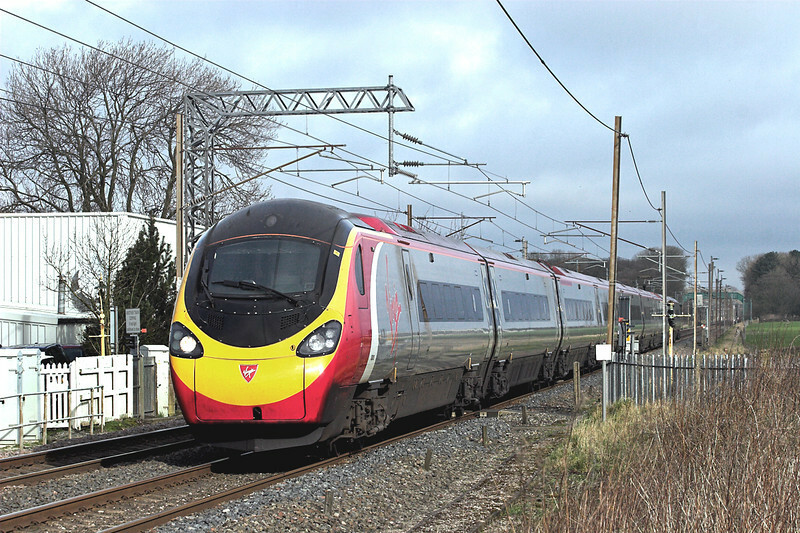 It was in charge of the Monday to Thursday Pendolino drag, which takes the empty coaches off the 2030 London to Preston service back to the depot at Longsight in Manchester. 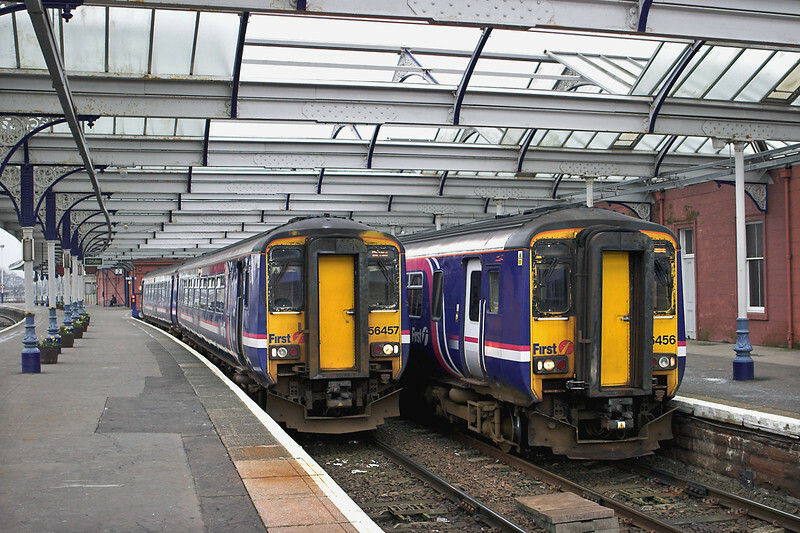 The use of a 57 is for two reasons; firstly as the route it takes is not yet electrified, but secondly to keep drivers familiar with the proceedures of the coupling mechanisms and with the handling of the train. 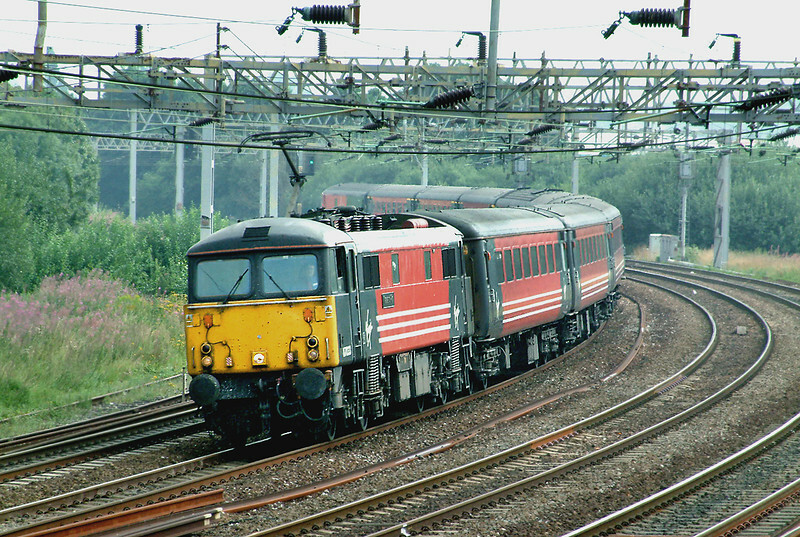 It is widely rumoured that from the new West Coast franchise in December the use of class 57s will cease. To that end six of the 'Thunderbirds' have already gone off lease and it looks like 57309 is next as all the nameplates (it's got no 'Brains' anymore...) and Virgin markings have been removed. Very scruffy it now looks! I made the effort and took my camera in the next night to get a picture of it. It is suspected that this, with two others, are going to be heading to DRS shortly, which will leave Virgin with only 3 in standard livery plus the 4 in blue for the Arriva Holyhead to Cardiff service. Still on Virgin news, the following night I got to Crewe in time to witness an 18 car Pendolino arrive from the south. 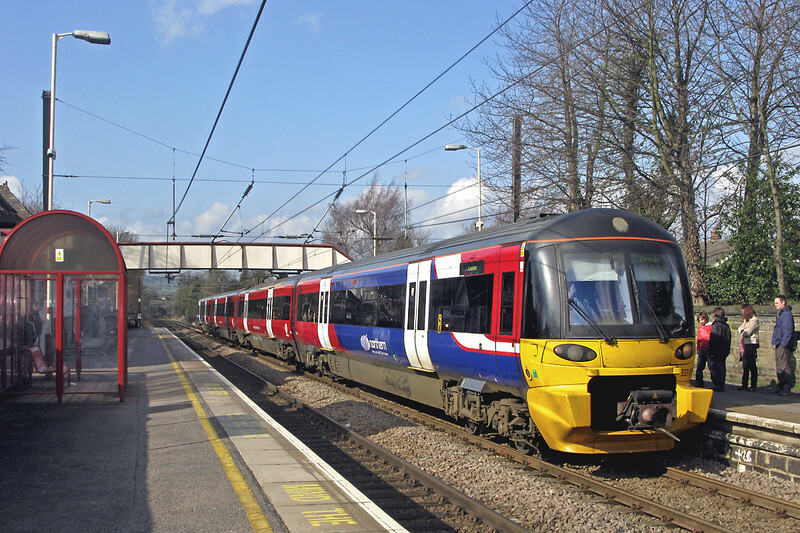 Testing had been taking place all week with one unit between Stafford and Crewe, complete with light on the pantograph to measure the forces on the overhead wires, but by Thursday morning they had moved on to trialling two 9 car units coupled, and powering, together. It actually just fitted in platform 12, though as I doubt it would fit in any other station on the West Coast Main Line, and certainly none at Euston, so don't expect to see 18 coach trains running anytime soon! 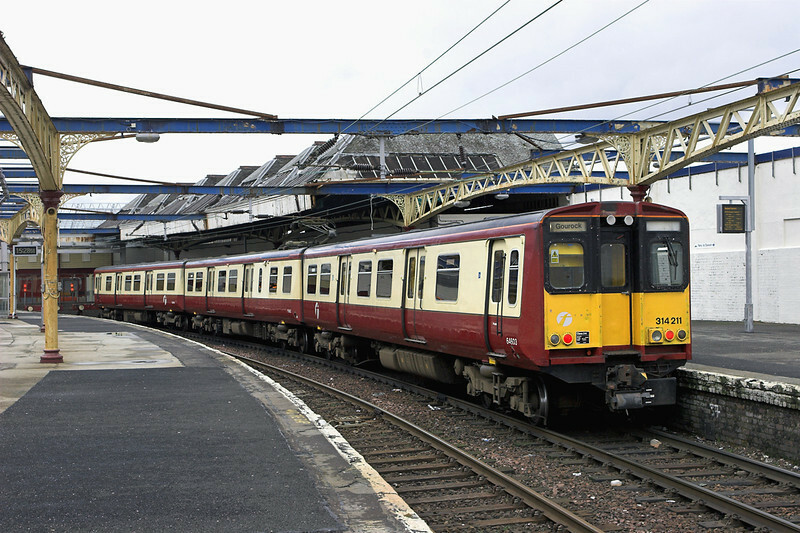 On a similar vein, there is also going to be a Pendolino out on the East Coast Main Line this week. 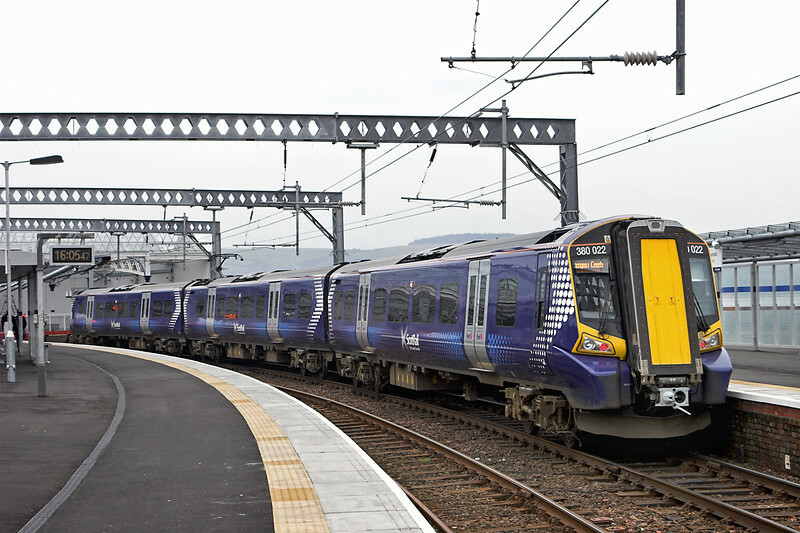 It's leaving Edinburgh late night Monday morning to work down to Kings Cross and then doing the same in reverse Tuesday night/Wednesday morning. 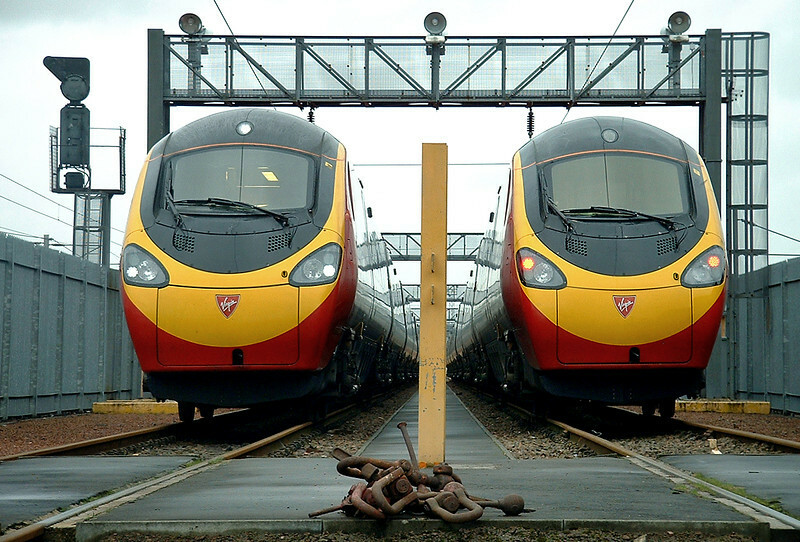 Rumour on this one is that Alstom are trying to sell the Pendolino to East Coast rather than the expensive 'IEP' that the government seems keen on. So onto Saturday. As regular readers will have worked out, when I've been on nights Saturday is very much a day for beer rather than photography. Well, I'd taken the Friday night off so I could attend the Leicester Beer Festival which is, in my humble opinion, one of the best in the country, with a good venue and an outstanding selection of rare beers from new breweries. This meant I wasn't in so much of a rush to get to the pub on Saturday so had time for a little bit of time out with the camera. There were three special trains due through Preston northbound in just over an hour so I forced myself to get up and head to Brock. The weather was somewhat dull, except needless to say for one shot of a Pendolino, though being cloudy this in a way helped as with most of the interesting trains being northbound the sun shining would actually have been problematic. 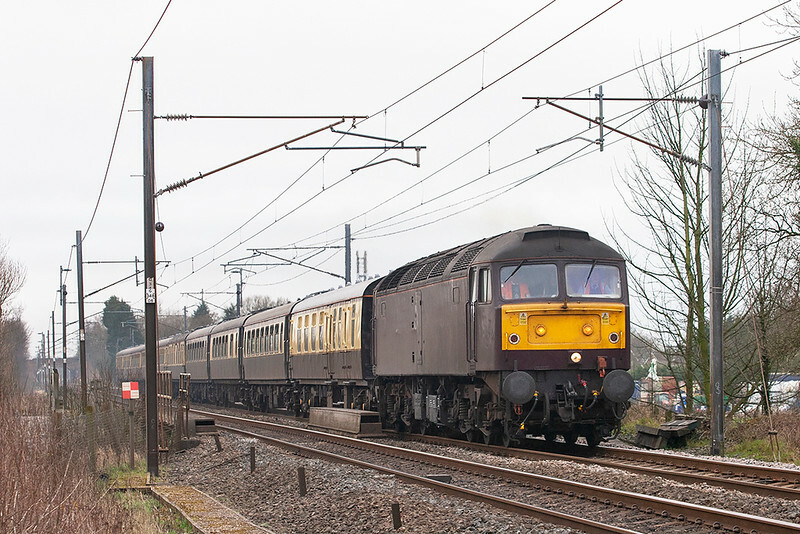 First up was 47786 heading a Nottingham to Fort William train, which was followed 10 minutes later by West Coast Railways' stablemate 47500 (pictured above) on the first leg of a Tyseley to Carlisle charter. 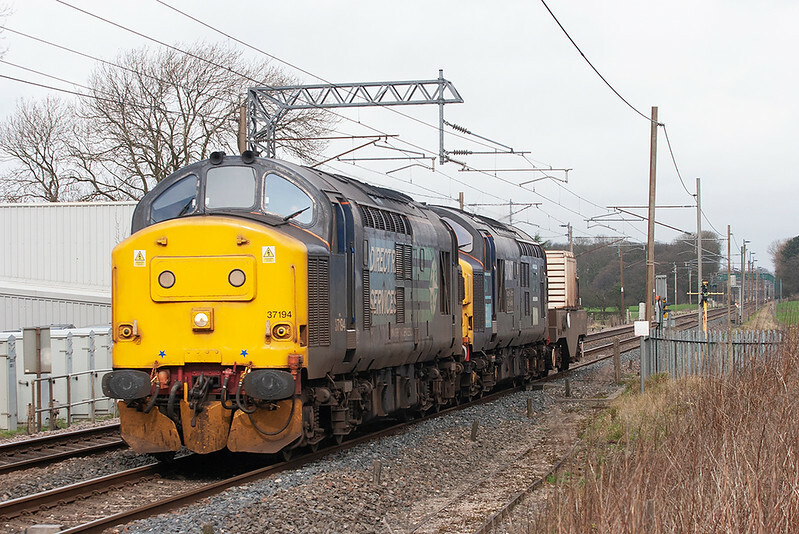 47500 took it as far north as Carnforth where it handed over to double headed steam in the shape of 5043 (Earl of Mount Edgcombe) and 6201 (Duchess of Sutherland). 47500 ran light engine back past Brock about an hour later. 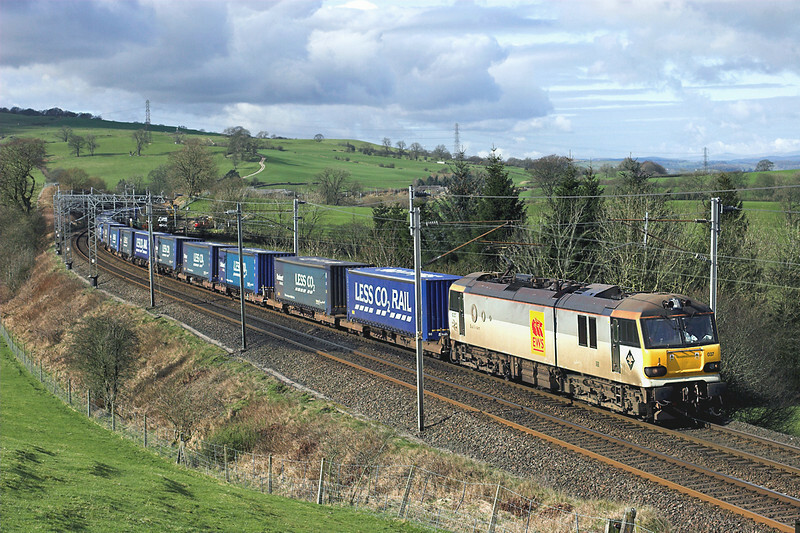 The third tour was 67025 also heading for Carlisle. On top of these charters, there were also 3 freight trains in the 2 hours I spent at Brock, the last one being the regular Saturday run of the 6K73 flask train. All in all worth making the effort to get up for, though it was touch and go whether I could be bothered when the alarm went off! The rest of the pictures from the morning can be seen HERE, but I'll leave you with, appropriately, the last picture of the morning. Once again thanks for reading!